On dead and rotten wood in the wet tropics in Queensland. This bright pink, stalked cup bristles with long pale hairs. 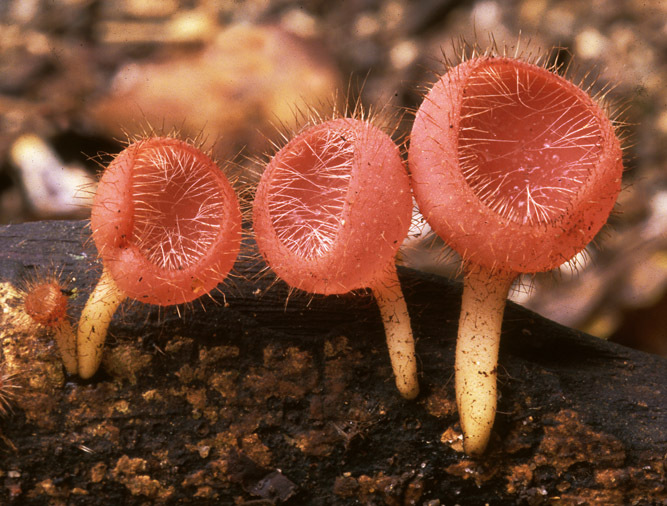 These grow on the outside of the cup, and create a very distinctive fringe around the margin. The stem is pale pink and hairy. Generously sponsored by Bethany Clark.